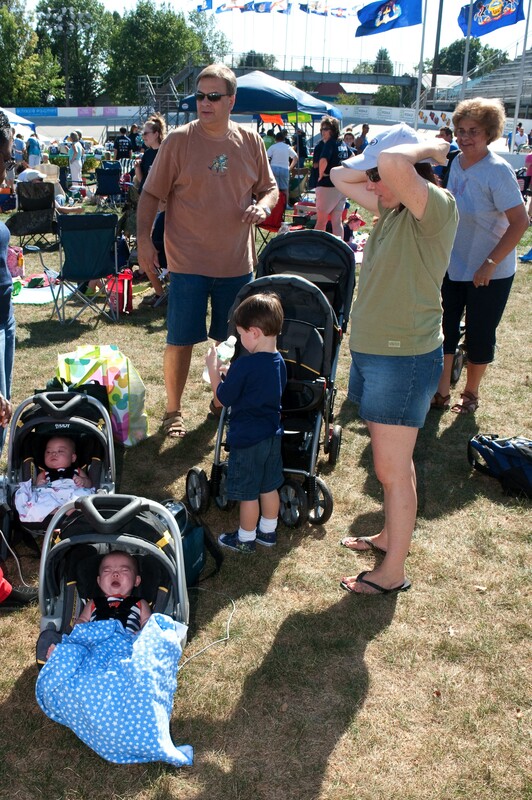 With their entire family in tow, including 6-month-old twins Shane and Wyatt, the Waksmunski family of Mahoning Township recently joined close to 1,000 others for the 11th Annual Lehigh Valley Buddy Walk in Breinigsville at Valley Preferred Cycling Center/Rodale Fitness Park. The Waksmunskis took advantage of a beautiful autumn afternoon to join other supporters of those with Down syndrome in raising money and awareness. It was one of the twins’ first public appearances. Both boys were diagnosed with Down syndrome shortly after their birth in March. Eric Waksmunski gets a reaction from Shane as he gets the twins ready to leave for the Buddy Walk. 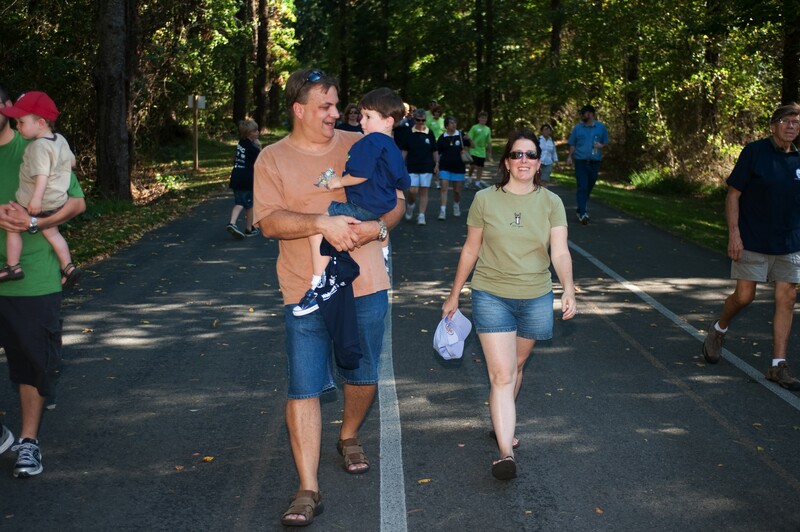 Although the boys didn’t get to participate in the actual walk, as the one-mile trek coincided with the time they needed to be fed, it gave their parents Eric Waksmunski and Mary Anne Christo, and 3-year-old brother Jesse, a chance to meet other Down syndrome families, such as the Kupinsky family from Coaldale. 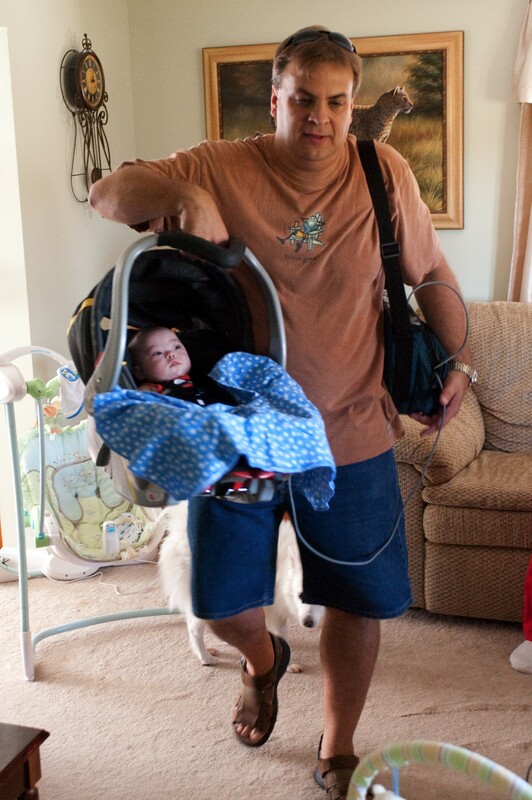 Eric carries Shane out of the house on their way to the Buddy Walk. Shane's heart monitor is in the bag over Eric's shoulder. He said his wife, Mary, had a very positive experience as well. And just as important, said Waksmunski, was raising money for the Eastern Pennsylvania Down Syndrome Center (EPDSC). The Waksmunskis have raised $2,245 thus far, and will continue to accept donations until Dec. 31. 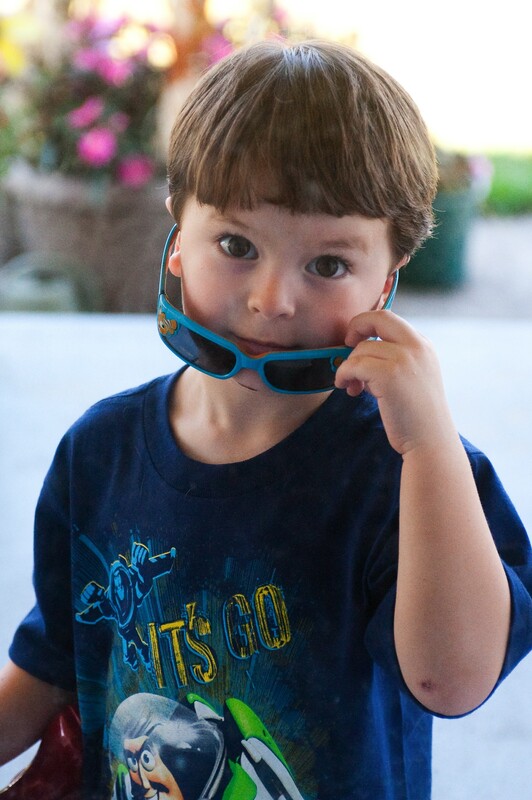 Jesse peeks into the house from the porch before leaving for the Buddy Walk. The goal of the EPDSC for this year’s Buddy Walk was $85,000, but it has fallen short thus far, having collected only $62,000. As donations are accepted through the end of the year, EPDSC coordinator Maria Floryshak hopes that some ground will be made over the next three months. 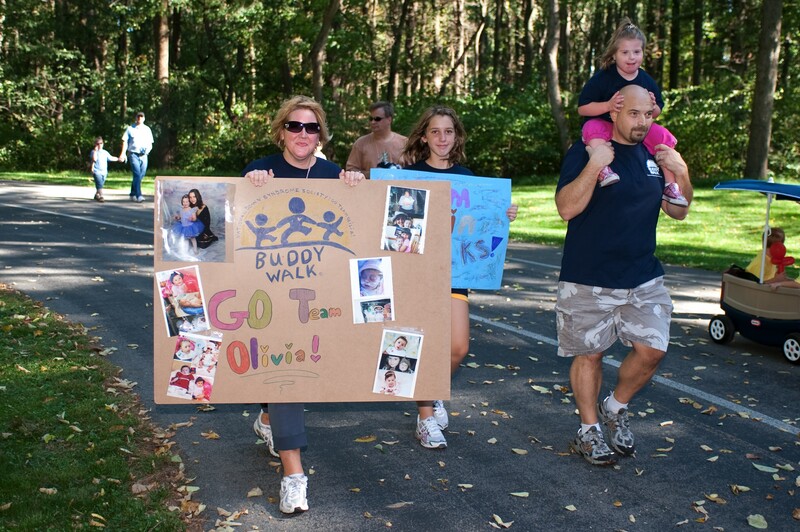 Last year, Buddy Walk events across the country raised over $10 million. The Waksmunski family arrives at their base camp in the infield of the Valley Preferred Cycling Center for the Lehigh Valley Buddy Walk. Those who would like to donate online, can go to “Shane and Wyatt’s Journey With Down Syndrome” on Facebook, become a member of the page and then click on “Events,” and then follow the directions there; or send a check to Eric Waksmunski, P.O. Box 214, Lehighton, PA 18235. Make checks out to Eastern PA Down Syndrome Center, or contact Waksmunski directly at ericwaxy@ptd.net. According to Floryshak, 90 percent of the money raised by the local Buddy Walk will stay in this area for use by the EPDSC, which provides medical evaluations, education and family support. Donations also cover the salaries for three coordinators and an office manager, as well as rent for its facility. There are three physicians on staff, only one of which receives a nominal fee for services. The other two are volunteers. Eric Waksmunski carries 3-year-old Jesse as he walks in the Buddy Walk at the Valley Preferred Cycling Center in Breinigsville, with his wife Mary Anne Christo. 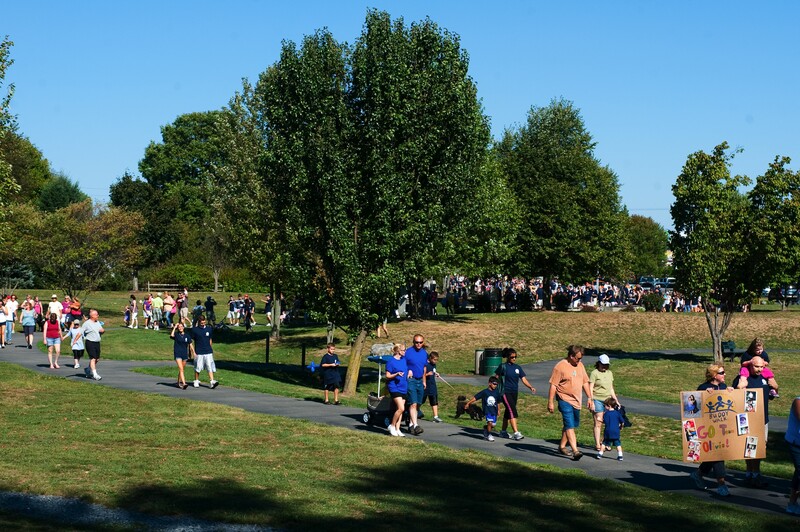 The EPDSC also holds a conference each year, in addition to hosting several social events, such as a picnic and holiday party, as well as offering special programs. While the Waksmunskis continue to collect money for this year’s Buddy Walk, their thoughts are already turning to next year’s event. Olivia Kupinsky, 5, gets a ride on her father, William Kupinsky's shoulders, as her mother, Carolyn Kupinsky, left, and sister Sam McCarthy, 12, center, carry signs for Team Olivia. A picture of Christo and the twins was shown on the jumbo screen in Times Square in a NDSS video that featured 300 photos of children and adults with Down syndrome. The picture was taken by Waksmunski when the boys were in Janet Weiss Children’s Hospital in Danville. His brother, Brian, submitted it to the NDSS. 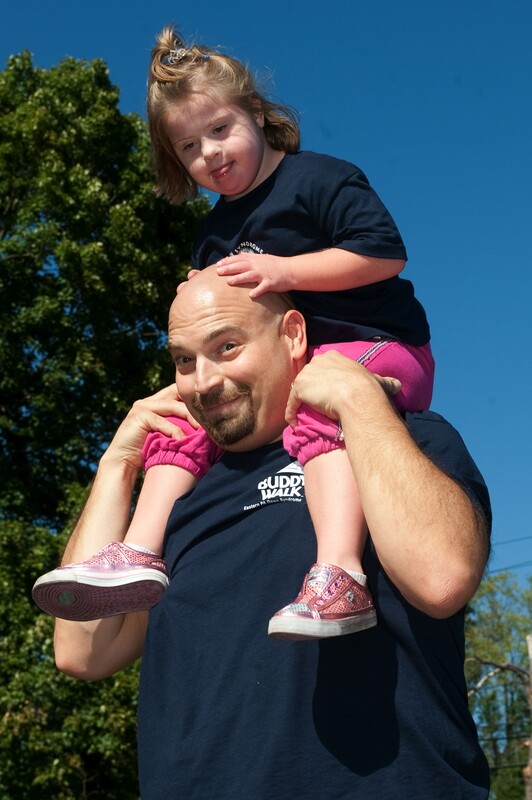 Olivia Kupinsky enjoys the view from her father William's shoulders during the Buddy Walk. To see the NDSS Times Square video, visit the NDSS website at http://www.ndss.org.